Let’s continue working on MicroStation tutorial. This time we will create a new sheet using MicroStation seed file we created before, then we will put our drawings inside it. Let’s start. 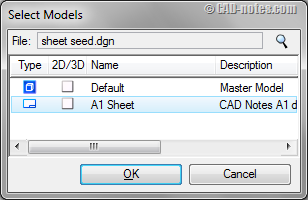 In MicroStation, you may add sheet model in the same or different DGN file. I don’t really know how you MicroStation users usually do this. 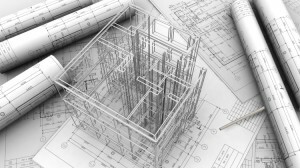 But AutoCAD users usually put the layout (or sheet) within the same file where they create the drawing. 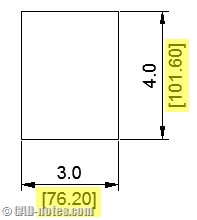 However, I see that in Autodesk vertical products, the 2D generated drawings can be in different files. This also common when we use Sheet Set in AutoCAD. Now I will let you decide where you want to put it. Or if your company already use MicroStation, you may want to share how you do it. Now create a DGN file. Use the seed file we created before. We already have one sheet. Let’s add one more. Go to menu file>models. Click create a new model. In create model dialog, choose type: sheet from seed. Then click the magnifier to choose our seed file. Find the seed file, open it. You will see a dialog asking you to choose which model you want to use. Choose A1 sheet we created before. A seed file allows you to have several sheets settings. You may want to have settings for several paper sizes in a seed file. Now we have two sheets in this design file. OK, now that we already have the sheets, how can we put our drawing in it? If you have a drawing, you may use it. But if you don’t, you can download this file and use it. Let’s open A1 sheet views if you haven’t open it. You can switch to that view using view groups (see image above). In the dialog, click attach reference. Choose the file you want to put here. MicroStation will open another dialog box. In this dialog, change the detail scale to 1:100. Or if you use your own drawing, adjust the scale as necessary. Now you can see the file listed in references dialog box. You also should see the drawing in your MicroStation view. You can move the drawing when the file is selected in this dialog. You can move, copy, scale, and use other manipulate tools at the top of this dialog. Let’s try to clip the reference. You can close or simply move the reference dialog box. Activate place block and draw a rectangle like below. Back to reference dialog box. Make sure the drawing is selected. Now activate clip reference. Pick the rectangle we created before. The drawing is now clipped. The other tools are at the bottom of this dialog. You can change the drawing scale, rotate it using the fields there. Can we place 3d model? Yes. let’s try to place our 3D table in the 2nd sheet. The steps are the same. The difference is, after you select the file, you need to tell MicroStation which view you want to use. Change the view to top and use 1:5 scale. Click OK, and the drawing now appear. 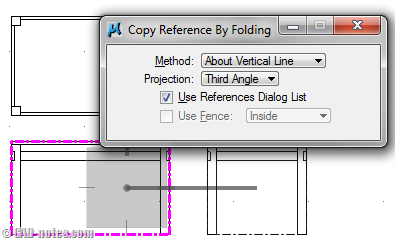 A good tool that is really useful when you work with 3D models is copy/fold reference. This will add a new projected drawing based on selected reference. You can quickly add front and side view using this tool. 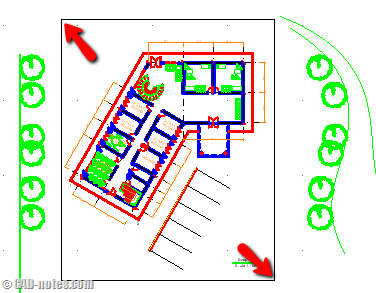 Select which drawing you want to create projected view (we only have one now) then activate the tool. Click in your drawing where you want to put it. Don’t forget to check the tool settings! 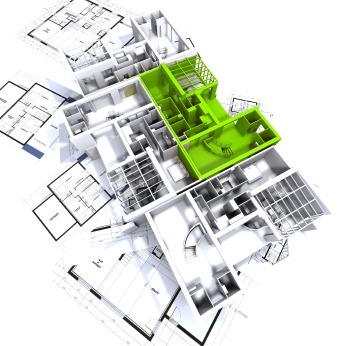 When you work with 3D models, you may want to use different presentation. 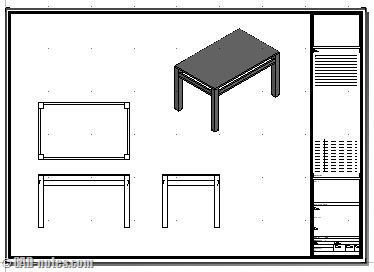 Below, I add one isometric view and set the drawing presentation to illustration. You can do it by selecting the drawing, then activate set reference presentation. By default, it will use the parent presentation. But we can override it for a specific drawing. You can change the display style in the opened dialog box. This tutorial ends here. Now you should be able to create your own seed file and add drawings with different scales and boundary inside your title block. We will cover more in references and views for 3D. 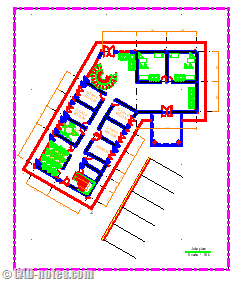 Great help, I am used to Autocad so its quite a change. Can you please move the buttons to like you on FB and G+ etc.? They are blocking the beginning of almost every sentence. Using IE here. Can you email the screenshot how it block the sentence? Email the screenshot to info@cad-notes.com.